Looks like the kids are going to or coming from baseball practice. The collection they’re pulling out of the boxes is a mix of comics and magazines. The boy on the left is holding a sheet of baseball cards. 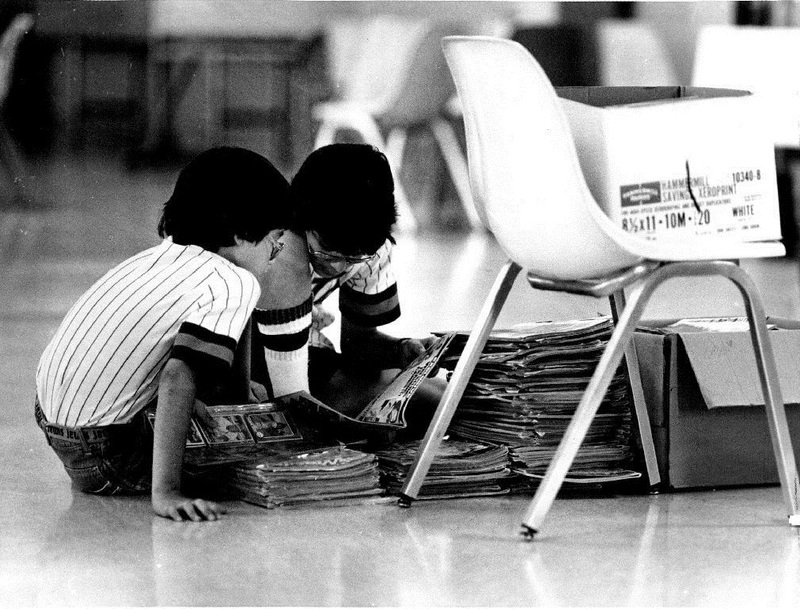 I think the kid on the right might be reading Starlog.